When it’s time for spring cleaning, who better to get tips from than home keeping guru Martha Stewart? For today’s post, we decided to share some of our favorite Martha Stewart cleaning tips that we could find. And it’s just in time for your spring cleaning! Stick around! Anyone can be great at cleaning! Make all your cleaning jobs easier and more efficient by loading up a bucket or caddy with all the supplies you’ll need. Wear an apron, and keep your polishing cloths and old toothbrushes in the pockets. The toothbrushes won’t get lost in the bottom of the caddy, and the polishing cloths won’t get wet or dirty from your wet cloths and sponges. 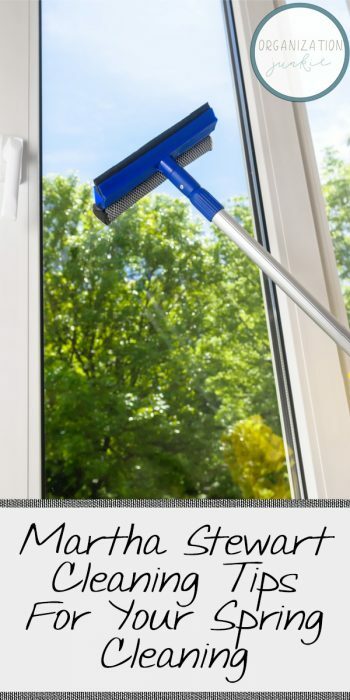 It’s easier to prevent mildew than to have to clean it up. Use open shelving in damp basements, and install de-humidifiers to lower the moisture level in your home. Use denatured alcohol to remove red wine stains from your delicate linens. Polish your wood furniture with a dry polishing cloth dipped in clear paste wax. This Briwax Clear wax is an Amazon’s Choice product. Martha Stewart cleaning tips say that on darker wood with scratches, a dark wax helps hide them. A lamb’s wool duster is much better at attracting and holding onto dust than an old feather duster. This one is genius–use a paintbrush to brush dust away from pleated lampshades. You don’t have to spend money to take your down-filled comforters to the dry cleaners. A mild detergent with low suds is best. And if you own a front-loading washer, you can safely machine wash your down comforter at home! 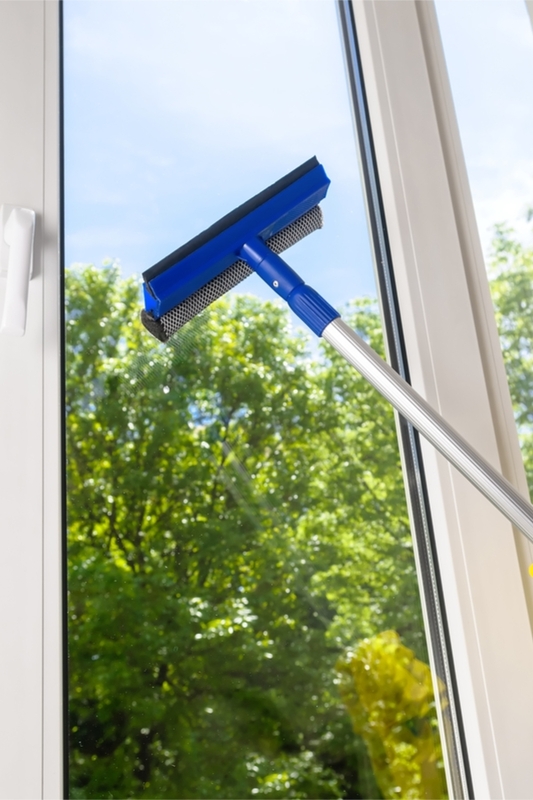 A squeegee is the best way to clean your windows. Use a solution of one quart warm water and 2 tablespoons baking soda to clean the inside of your refrigerator. For the easiest cleaning later, wipe up spills as they occur. A baking soda paste is perfect for cleaning your ceramic tile and the grout between tiles. Use an old toothbrush to easily get in the grout lines. Twice a year, steam clean your drapes. Once per year you should take them down and launder or dry clean them, but steam cleaning is an effective way to freshen them up and remove wrinkles while they hang in place. Use a dry pair of rubber gloves to help you wipe down microfiber furniture and remove pet hair. 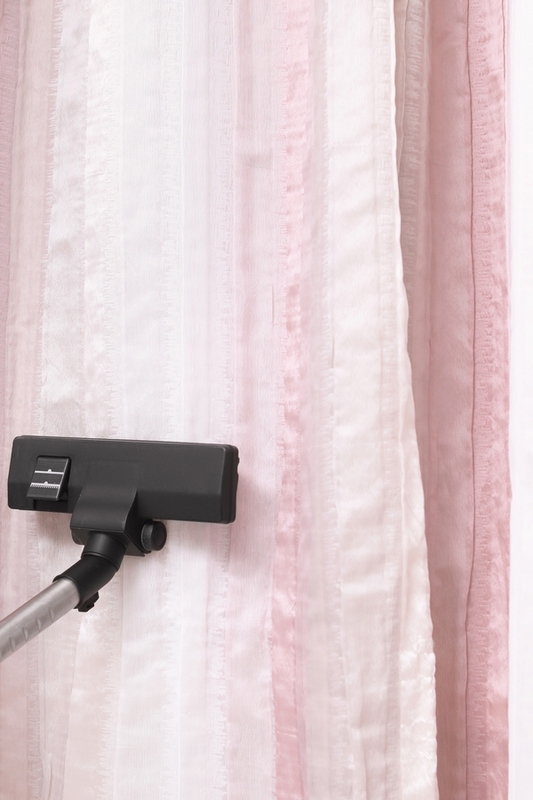 Use these Martha Stewart cleaning tips to help your spring cleaning go better than ever. 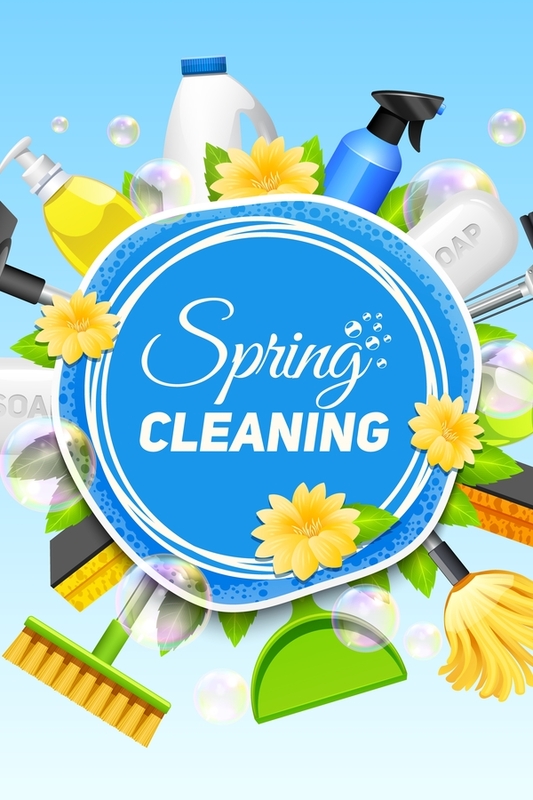 For more spring cleaning tips, check out the cleaning tips that every clean freak must know!